This was one of the questions that I was asked in a recent interview. My answer: They don’t have a strategy. Business owners or their staff end up spending hours, sometimes DAYS or WEEKS, brainstorming, writing and producing content that leads them nowhere and gets no positive results for their business. A clear content plan and editorial schedule helps business owners better allocate their resources, and shift from being in a constantly reactive state to being in control of what they publish and when. They’ll also manage their human resources better. Too many business owners are “hoping” that their content will go viral and generate a gazillion leads and shares, and eventually sales for their business. That’s wishful thinking. Hope is not a strategy. Businesses that have a clear blog content strategy are focused on producing engaging content for their target audience, and putting the right content in front of their potential buyer at the right time. Getting this right produces a positive ROI. You can generate real results from old content — and the more you publish, the more old content you’ll have that’ll get you traffic and leads over time. Companies that had published 401+ blog posts in total got about twice as much traffic as companies that published 301 – 400 blog posts. Woah, but who’s got time to be producing 400+ blog posts? According to a HubSpot study, companies that blog once or twice per month generate 70 percent more leads than those who don’t blog at all. As I advise all my clients, when starting out it’s better to focus on quality and consistency over quantity. It will take time to produce a library of content, so the sooner you start putting out high quality blog posts the better. Again, you want to have a clear plan of the frequency, and what types of content you should be putting out there. If it’s within your marketing budget you may consider outsourcing your content writing to save you a whole lot of time. If you’re bootstrapping then start small and aim for 1 blog post per week. That’s 4 posts per month, and after 12 months you’ll have 48 blog posts humming away and working for you. Note: you want to make sure that your posts are optimised as not all blog posts are created equal. If you need help with this, grab a free blog post audit below and we’ll give you specific tips to help you improve the quality (and results) of your blog posts. 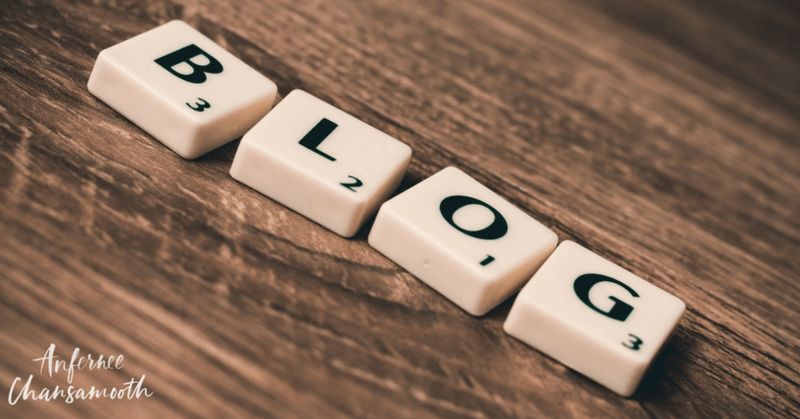 Do you have a documented blog or content strategy for your small business? If not, what’s stopping you? Say NO MORE to 10+ hours per week creating content that goes up on your blog and does nothing for your business. Get clear and strategic with this simple tool, and receive weekly content marketing tips to grow your business online. Enter your details now to download the canvas and receive our weekly blogging and content marketing tips by email. Boom, you're awesome! Now check your email to confirm your subscription so we can send you the canvas. Somehow I managed to write over 100 blog posts in a year without an editorial schedule. But I did have a plan which included a clear set of measurable goals, and I followed that plan consistently. There are “mental muscles” you use when you write. Writing those first few quality posts might be painful, but eventually writing becomes a habit, and it gets easier with practice, and you find yourself in a zone where you can write well on a regular basis. Not only is that good for your business, but it just plain feels good to you. Especially the part about knowing that you wrote some quality writing. Listen to Anf.